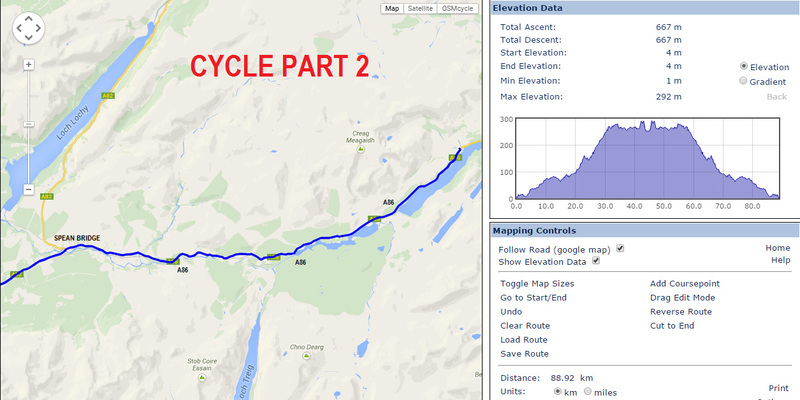 The route is all on road and on leaving transition follows the A82 South along the by-pass to the West end roundabout, round the roundabout and back along the bypass following the A82 towards Inverness. 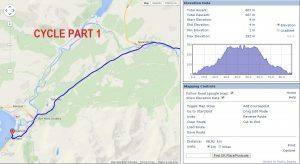 At Spean Bridge (16.8Km from T1) you will be directed right and follow the A86 out as far as Aberarder (46.25Km from T1) where you will be turned on the road to retrace your route back to T1. Cyclists are not to mount their bikes until clear of transition area and must secure their helmet before unracking their bike and after they have racked their bike at the end of the cycle. Cyclists must wear helmets that comply with recognised standards (ANSI or BSI). Cyclists must obey the Highway Code at all times and follow all directions given by race marshals and police. The roads will be open to traffic, so PLEASE be aware of cars. We will have marshals placed at most junctions and areas of risk. We will try to make the markings as obvious as possible but try to keep an eye on where you are. 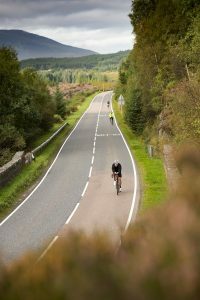 Competitors must be vigilant and aware of other road users. 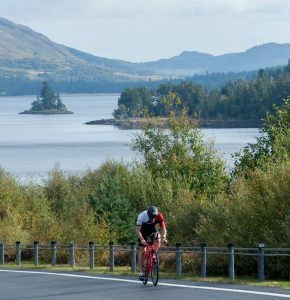 Cut-off time: Any rider not reaching Laggan Dam by 19 miles/31km by 2hr30 mins after the race starts will be turned back to maximise the opportunity of completing the run section. Therefore you have to be past the Dam by 09:15.